The new Stuff2Move Facebook page is now up and running please feel free to share and like it. 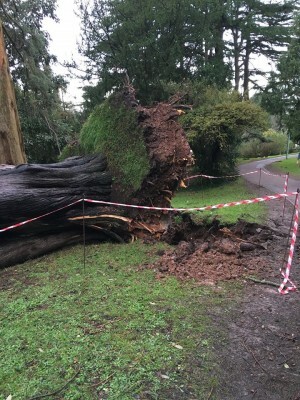 Please be aware that work is underway to clear the large fallen tree across the upper Reed Hall path – we expect to reopen the footpath by Thursday lunchtime. Sadly the iconic leaning pine at Reed Hall steps has also been damaged and requires removal. This footpath is likely to be closed into next week. Please take note of the diversions in place for everyone’s safety. 10 years; 175 ceremonies; 35,000 students hugged: “There is no other Chancellor like you. 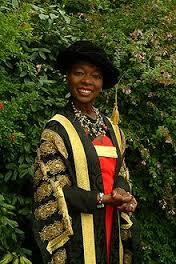 You are irreplaceable.” Thank you Floella Benjamin! The University ranked 65th in the latest Times Higher Education league table of the global 100 most international universities, published today (January 14 2016). The 2016 Most International Universities list, complied by the THE, considers each institution’s percentage of international staff, its international student numbers and the proportion of its research papers published with a co-author from at least one other country. The THE which publishes the rankings, said: “An institution’s global outlook is one of the key markers of a prestigious university. The top institutions hire faculty from all over the world, attract students from a global market of top talent and collaborate with leading departments wherever they happen to be based. 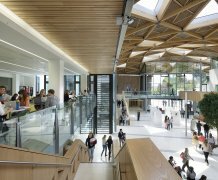 The University of Exeter is in the top one percent of institutions globally, and is one of the global top 100 universities according to the Times Higher Education World University Rankings 2015, positioned 93rd. Exeter also ranks 7th in The Times and The Sunday Times Good University Guide league table, 10th in The Complete University Guide and 9th in the Guardian University Guide 2016. More information about the ranking can be found on the Times Higher Education website. Come and celebrate the Year of the Monkey 2016 with us! Chinese Market, food, martial arts demonstrations, performances and activities suitable for all! 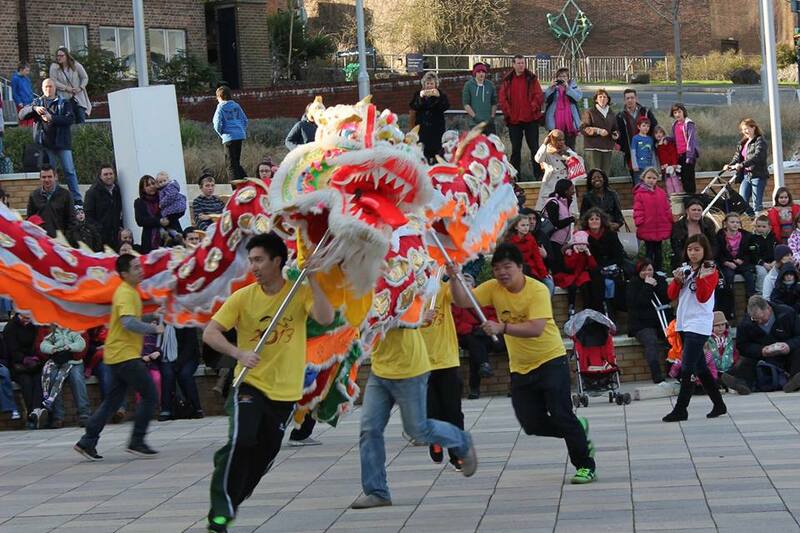 Our Chinese New Year celebrations are the biggest in the city and are regularly attended by over 2,500 people. The celebrations are presented by the Chinese Student Scholars Association (CSSA) and supported by University of Exeter, Students Guild and Streetwise Fund. The new student shipping form is now live based on our free boxes & tape to 25,000 destinations worldwide great allowances on luggage the same great service as our Exeter student storage service. http://www.stuff2move.co.uk/?page_id=3974 No: 1 for student shipping. 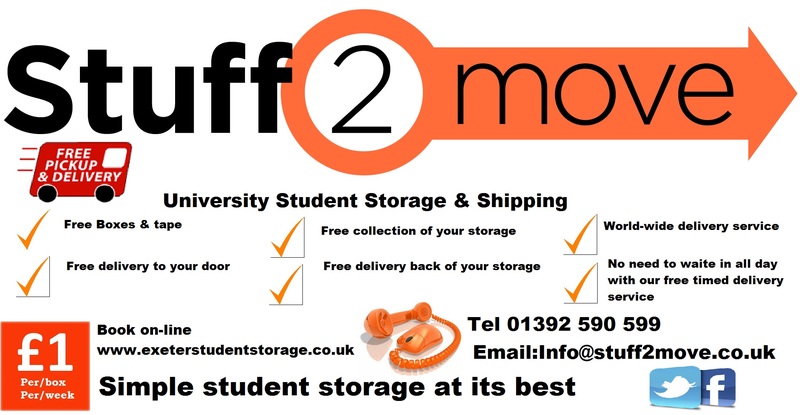 We Deliver Free boxes & tape to your door free collection and free delivery with shipping options world wide Exeter university’s best known student storage service simple student storage book on line www.exeterstudentstorage.co.uk why pay for boxes all our boxes are free. this week. Which is based on our free boxes to over 25,000 destinations world-wide We still give Free boxes and deliver free from only £1 per/week per box no minimum order and certainly no delivery or collection costs. We have had lots of Plymouth students booking for summer. along with Falmouth , Durham , Surry , and Newcastle. 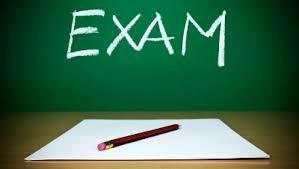 Good Luck In your Exams From the stuff2move team.